Soil reuse services available across Brisbane, Gladstone, Sunshine Coast, Gold Coast, Adelaide, Melbourne, Wollongong and Sydney regions. Australia's ONLY soil reuse service. As Australia's leading soil removal service, we offer debris removal and dirt disposal throughout locations such as Brisbane and Melbourne. Our soil recycling services are available throughout a range of construction sites and complement our vacuum excavation efforts excellently. At VAC Group, we proudly serve an array of locations throughout Southeast Australia, including Sydney and Adelaide. Usually, spoil removal is an expensive business. When vacuum excavation companies use sucker trucks to remove dirt, they essentially turn it into slurry. At VAC Group, we've generated a patented approach that removes a lot of the expenses your company could incur. Our fully-scalable approach to debris removal means that we can perform onsite spoil recycling in most locations, including the more challenging environments surrounding Gladstone. For your convenience, we can set up and complete this process within a matter of hours. Using our vacuum excavation equipment, we gather the soil or debris, then dump it into our machine's collection hopper. The debris removal process then involves moving the contents into a receival hopper, including anything that features slurry. Then, our soil recycling process involves separating the water and the soil. As an alternative to dirt disposal, this often produces a solid product that could be reused. Our spoil removal process will either result in a usable product or soil that you can reuse elsewhere. In either case, you don't have to keep it. 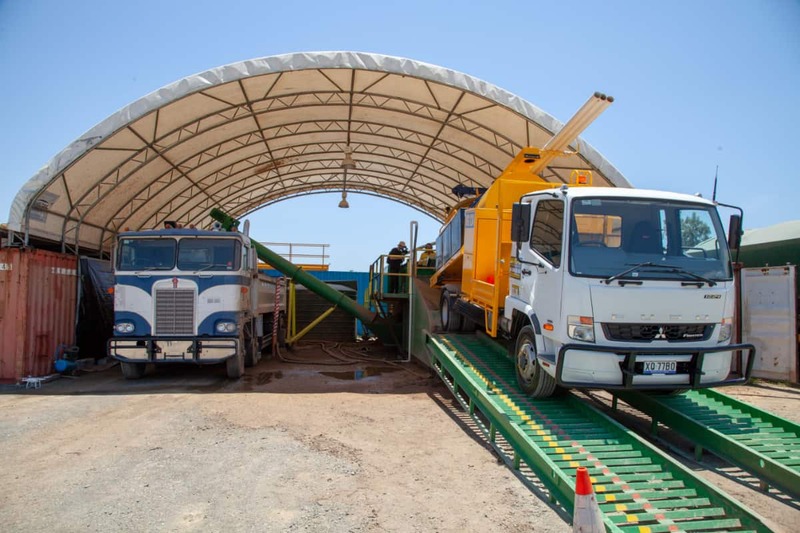 At VAC Group, we're here to make your life easier by providing a fully comprehensive dirt disposal service, which includes performing the recycling for you. At VAC Group, our ability to use a patented technology means that we can reduce the costs that a lot of other companies incur. Such costs often arise because their end product results in liquid waste, which the Environmental Protection Authority (EPA) strictly regulates. With a team of more than 150 staff and 85 machines, we're also able to offer extensive services to those living in the cities we serve. Thanks to our remote monitoring technologies, we're able to reach your site quickly if something bad happens. However, our strict approach to safety controls means that such incidents are rare, allowing us to keep our customers in Brisbane, Sydney, and the surrounding areas safe. At VAC Group, after we've extracted water from your spoil recycling materials we can use them for further hydro excavation projects. With fewer machine operating hours, we also use less CO2.